Do you have strange reactions to gluten-free foods and other “free from” labeled consumables or cosmetics? If a lot of these things that are affecting you contain “xanthan gum” in the ingredients, it is more than likely that you could have xanthan gum allergy symptoms. But thankfully, there are healthy alternatives. What is Xanthan Gum Allergy? Why do I feel bad when I eat gluten-free foods? This mass-produced gum substance is frequently used in beverages and food items for its thickening properties. Many people are actually mildly allergic to xanthan gum and get affected by it in subtle ways. 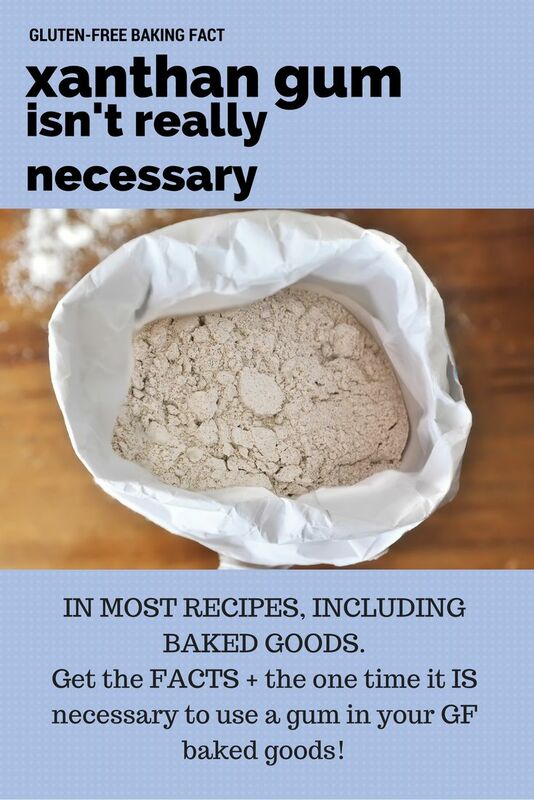 In many packaged and baked recipes, xanthan gum is recommended as an alternative to gluten because of its thickening ability. This may be the reason why you react sensitively when consuming gluten-free things. This may be an unfortunate problem for you if you have celiac disease or a gluten intolerance. There may be some xanthan gum allergy treatments that could make your reactions less severe or disappear completely. Aren’t there health benefits of xanthan gum? Sjogren’s syndrome is a condition that causes dryness throughout your body with a lack of bodily fluids. Xanthan gum is used to treat this syndrome and promote salivation. This is particularly useful for people suffering from Sjogren’s syndrome and also enjoy consuming carbohydrates. Saliva is essential for the breaking down of carbs and grains. Can xanthan gum be unhealthy for non-allergy sufferers? Many people are realizing that the use of artificial gums like xanthan gum, guar gum and acacia gum can be unhealthy in general. Some common conditions that can be caused in anybody that consumes these are migraines, skin itching, sinus irritation and even gastrointestinal problems like bloating, gas, constipation, and diarrhea. 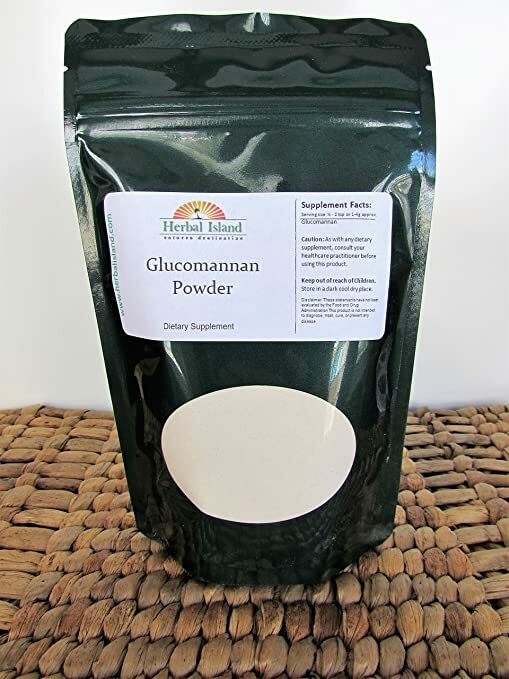 For a lot of people, xanthan gum causes stomach discomfort, loose stools and stuff like that for most people that consume excessive amounts of it. This is just a side effect of the chemical nature of xanthan gum. If you show symptoms of xanthan gum allergy, it might be wise to switch to an alternative thickening agent. This means try to eliminate it as best as you can so that you aren’t causing unnecessary inflammation in your body. Unless gluten gives you severe allergies, many people think that avoiding gluten will benefit their health. When in fact, the process of making a food gluten free can make the item even more allergenic. This is much more of a trade off than most of the health media will make you think. If you decide to actively be gluten free, this should be with the concern for risk to exposure to artificial gums and fillers. This is a great almost 50% off deal that you can get good quality for cheap! Many celiac disease sufferers recommend using psyllium husk powder instead of xanthum gum in their gluten-free baking recipes. This actually works very well for a lot of things because it can add a great amount of healthy fiber into your diet naturally. I mean, this makes sense for anything outside our bodily world. 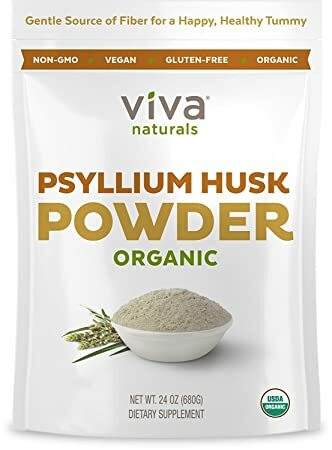 Anyways, psyllium husk powder makes for an excellent replacement for artificial gums when you have a xanthan gum allergy. I think it could even be a healthy alternative in general due to its healthy fiber content. An even better replacement for xanthan gum than psyllium husk powder is konjac powder, but it’s not as inexpensive. This stuff is just a ground up dried root that is made up of healthy dietary fiber. This fiber can be used physically as a gelling agent, thickener, emulsifier and stabilizer. Let’s not forget to mention the excellent source of soluble fiber. Since konjac powder is made up of soluble fiber it may be even more beneficial to mix it with psyllium husk powder for added insoluble fiber. The two can definitely work together to make the job even more efficient and healthy. This alternative is a great source of soluble fiber. It might be possible that excess consumption of this artificial gum may be causing inflammation in your body. This can lead to disease and a weaker body, so it may be best to avoid it as best you can. I’m sure that many peoples’ body can consume xanthan gum just fine, as genetics is a factor in how your digestive system responds to things. If you have a question or something to add about xanthan gum allergy, please leave me a comment! I adopted a rescue kitten with IBSD after losing my BFF of 15 years cat to intestinal cancer. I hoped I would be able to help her with what I learned too late to help my BFF. I did find the trigger for my kittens problem was Xanthum Gum. And taking that out of her diet stopped the diarrhea. Six months later she is still on a special diet and we are working on the inflammation. AAFCO approved Xanthum Gum for cats, based on dog studies and I think they have done a really bad thing for cats as manufacturers are now putting it in a lot of their foods. I can only hope cat owners know that cats are supposed to poot turds and not liquid. I suspect this stuff is doing some real damage to a lot of kitties. Thank you for helping to make some people aware of xanthan gum allergy in pets. I wasn’t aware of this myself!